Affordable Accoutrements: Playing Six Degrees with The Vamp! 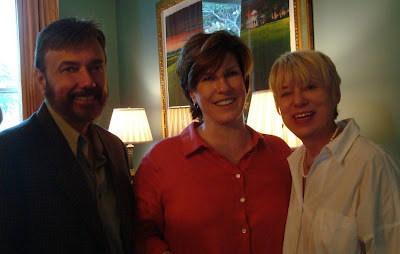 As I told you HERE, Valorie, the Visual Vamp, and I had brunch in New Orleans at the home of Julia Reed, frequent contributor to CNN, Newsweek, and Vogue; author of Queen of the Turtle Derby and Other Southern Phenomena and The House on First Street: My New Orleans Story; and chair of the board of The Ogden Museum of Southern Art. 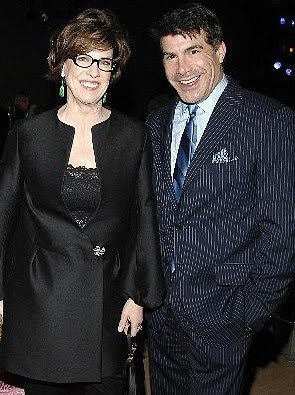 Julia Reed has done fundraising for arts and culture with New Orleans native Bryan Batt, acclaimed former (and I hope returning) star of AMC's Mad Men. He wrote She Ain't Heavy, She's My Mother: a Memoir (or a "momoir," as he calls it in a delightful audio interview with Julia Reed). You can find it HERE. 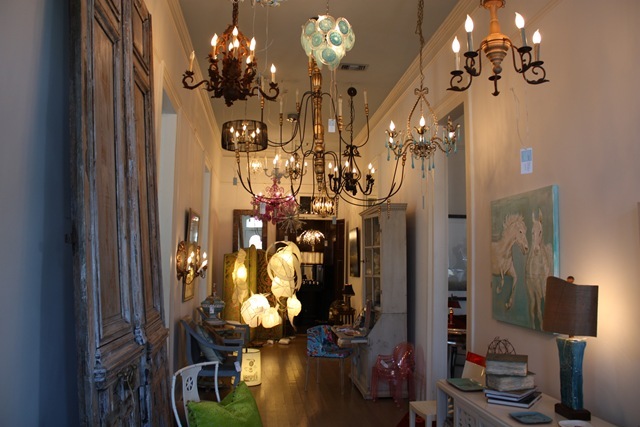 Bryan Batt and partner, Tom Cianfichi, own a shop on Magazine Street in New Orleans called Hazlenut. They sell fine gifts, elegant home accessories, and unique items featuring a special New Orleans toile designed by Bryan. You can visit their website HERE. 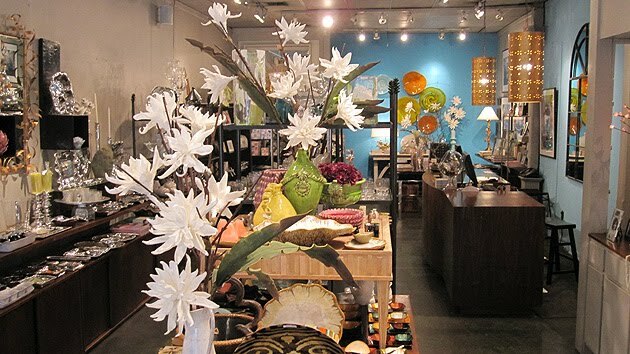 I stopped by the shop when I was in town, and it's wonderful. 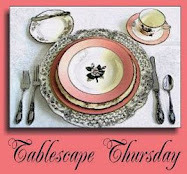 SO many great items for tablescapes! I wanted at least one of everything. 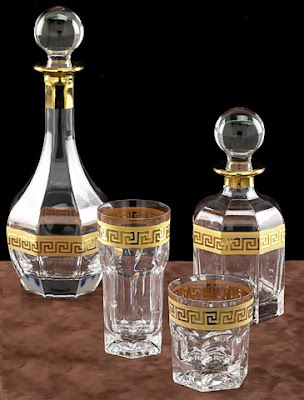 The Greek key gilded decanter and glasses really spoke to me! The nice lady at Hazelnut gave me directions to Perch, just up the street. It's in a great old house on Magazine. Again ... so many wonderful things to see! 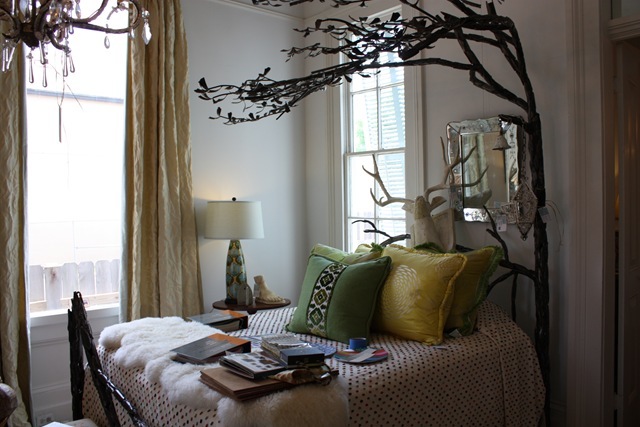 Loved the one-of-a-kind hand-wrought iron tree bed! Similar ones can be made to order for your space. 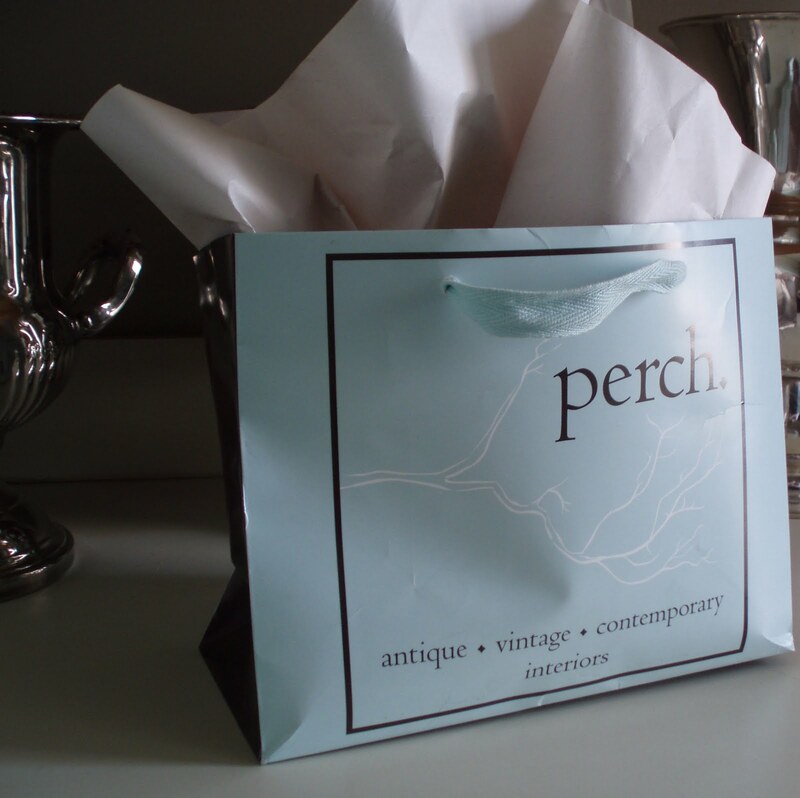 Visit Perch HERE. As other customers and I wandered about drinking in all the beautiful decorator, vintage, and antique items, a petite woman with blonde hair spilling over her eyes appeared. She was in a sleek animal print dress, moving with a dancer's grace. I heard a slightly husky voice offering assistance to "y'all." Yes, it was Valorie, a New Yorker who knows how to live as the Romans (or, in this case, the New Orleanians) do. When I introduced myself, she gave me a big ol' blogger hug. I invited her to be my "plus one" for brunch and picked her up the next morning at the charming double shotgun home she and her husband, Alberto, share in the Irish Channel off Magazine (a few blocks from the Garden District). 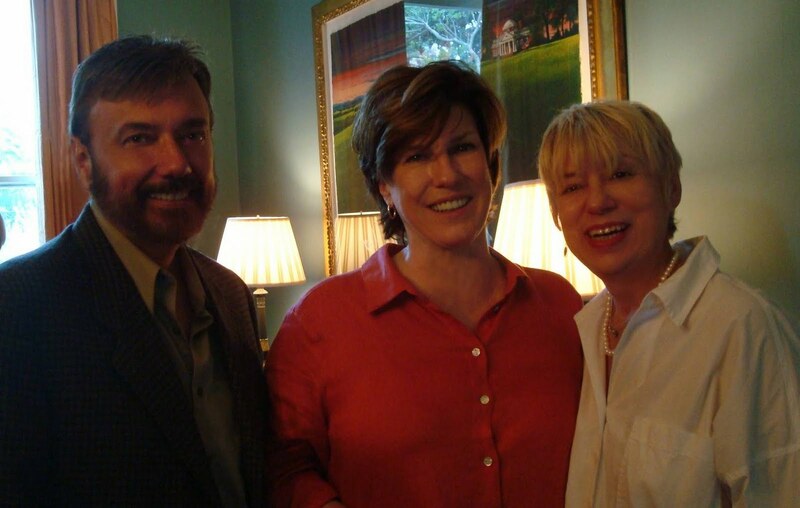 It's the house where she's entertained Tom Cianfichi, Bryan Batt, and super-blogger Eddie Ross. Valorie had a gift for me in a pretty blue Perch bag. Want to see what was inside? 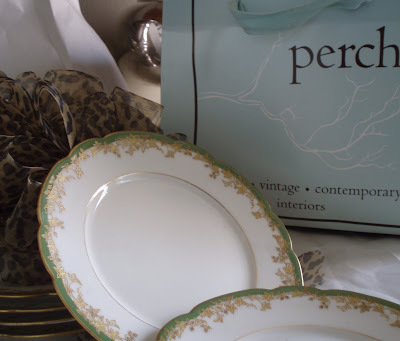 Beautiful vintage French Limoges plates! She knows what boys like! Did you know Valorie Hart and Alberto Paz were the 2009 US Tango Salon Champions? HERE's an article that describes the Argentine Tango and explains how it differs from ballroom tango. Thank you, Valorie and Alberto, for your warm hospitality! P.S. They've written a book called Gotta Tango. Check it out HERE. Bill, I feel like I am a fly (a butterfly that is) on the wall. What a wonderful fieldtrip! YOur commentary has grace and colorful description! I am reading in my head with a southern accent! What fun! Love the gift too! How you! 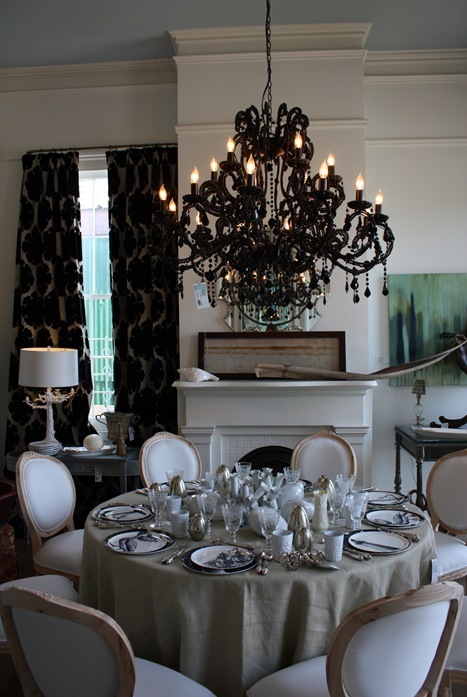 Thanks so much for sharing your trip to NOLA! Could you be having any more fun?? I mean really..you are just making me so jealous. So much to see and do and buy too. What a lovely gift. Such interesting people, including you. Sigh. 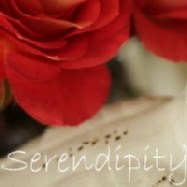 I am headed off to read Part I.
I love Julia Reed, and I have even mentioned her in posts I have written. I love adventures and you have been on one! Oh honey you make this Vamp blush! Loving your New Orleans adventures. I'm going to check out Perch tomorrow! Bill-Mighty fine company you're keeping these days (as my grandmother would have said :) Oh what fun! It seems to me I remember a "Why I love My Bed" article in House Beautiful about Bryan Batt??? Valorie has got your number!!! What a perfect gift! Thanks for taking us along! Oh my! You've lived. You really have. Thanks for sharing your dream, it's lovely. I want to visit all the places featured one day. Look at you! Rubbing shoulders with society's whos who! Well I guess you deserve it! What fun! 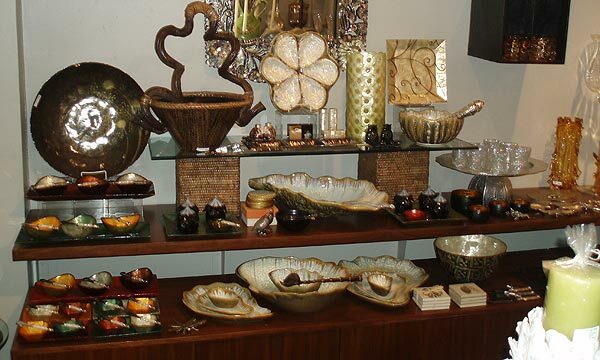 Meeting and connecting to others who have an eye for the finest hostess gifts! Valerie and Alberto are so sweet. We had the pleasure of their company on one of the hottest days here this summer. Thank you for sharing your lovely trip! It seems so magicial to me...love your limoge plates! Neat post. What fun you had. Interesting people and very interesting "stuff". What a great posting! Did you buy the greek key decanter and glasses? Those are great, I would have wanted them too! What a lovely gift to be given! 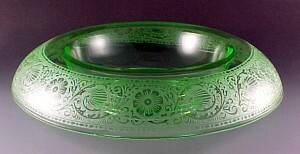 Limoges...sweet!